Are you looking to gain more attention for your business on social media? Has your brand been lost in the weeds lately, and you’re trying to figure it all out? If so, there’s no reason to run away screaming. Many people fail to recognize three small, yet effective tweaks to their marketing strategy which can help them stand out from the pack. You may have heard of these before, but you may not completely understand how they can work. I want to show you how powerful they can be for your brand. Let’s get into it. While it may seem like a good idea to share your sales pages and opt-in links to your audience continuously, in reality, you’re hurting yourself more than helping. Always remember: Your audience is paying attention to everything you do and will be judging you based off your actions and promises online. The Law of Reciprocity is the idea that you should give before you get, particularly when it comes to your followers. While your end game should still be in sight, reciprocity can be another avenue down which you direct them towards your goals. One great example of reciprocity in action is giving away your best ideas. Jay Baer told a story about the CEO of Geek Squad, who explained to people how to fix their computers for free in various content distribution platforms like articles and videos. Someone came to their CEO and told him they thought this was a bad business idea. However, the CEO explained that when his audience finally couldn’t fix their computers by themselves, who were they going to call to fix it for them? Some random person out of the Yellow Pages, or the company who had been giving them free information consistently? Not only will this free information help your audience, but it will also establish a sense of expertise which connects them to your business. This experience will draw your audience closer to your brand. Don’t keep your ideas to yourself. Give them away! This will influence your audience’s buying decisions in the future. Another company which comes to mind is FreeeUp. They make sure to give their clients and customers all of the tools needed to complete the job. However, when the time comes, they understand their audience knows who to come to when they can’t complete the job. They give their audience the tools to succeed, but when those won’t cut it, they make themselves available. In fact, FreeeUp is so sure of this technique, they have compiled all of their best ideas into one book for business people to look over and create their own success using their thoughts. Brilliant. I used to think social proof was when you had a lot of social shares on an article. While this is part of what I’m talking about, social proof goes even deeper than share counts on your blog. Social proof is the essence of your brand, and it builds bridges from one person to the next. Psychologically, social proof influences our behaviors whenever we clock a person’s actions online, whether they are talking about a certain brand like Social Media Examiner or a new book they just purchased. One great example would be Jay Baer’s book, Hug Your Haters. Testimonials are a great way to establish trust and build confidence in your product or brand across your audience. Who wouldn’t take a leap of faith and grab this book right now because of the many positive testimonials praising it so well? On the other hand, negative social proof can destroy your brand just as quickly. Social proof is a powerful motivator to influence your community, and it helps to always have them in mind when you release something from your business. Have you ever seen scarcity used to its fullest potential? The results are amazing: people rushing to get one of the five books you have just released, or whatever it is you’re selling. If you’re still unsure about scarcity, let me explain it quickly: Scarcity places a limitation on a product or service, bringing out FOMO (Fear of Missing Out) in your audience. Scarcity is a powerful psychological motivator because no one wants to be left out. When someone feels like they’re being left out, their brain will go into “fight or flight” mode, causing high emotional distress. The only way to relieve the distress is to completely themselves from the scenario or simply give in to the urge to do whatever it is you’re wanting them to do. Scarcity is an art form, and Groupon employs it well. Groupon takes a specific coupon and places a time limit on it. Notice the $60 coupon for catering is already gone. This creates a sense of urgency within your audience and will trigger them to react to what you’re trying to do. Scarcity is effective; however, you must know and understand your audience and what they want or need in order for it to work well. This is done by lots and lots of research and communication within your community. Take your research, and build a product or service around your community. Place a time limit or product limit on it, and send it out to your followers you know need it. 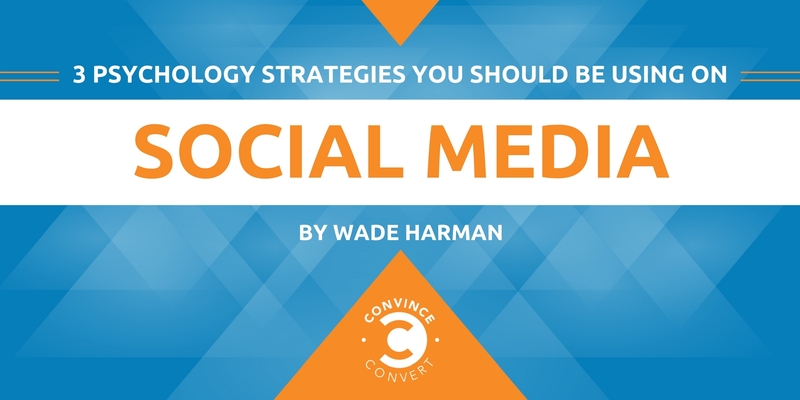 Done right, scarcity can be a great way to gain attention for your business on social. 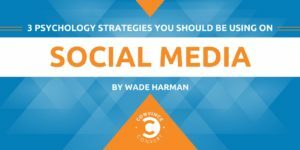 There are many social media strategies you should always be testing. These three are some of the most effective I have ever seen when placed in front of an audience correctly. Have you ever created any of these strategies effectively? I’m sure there is someone out there who would love to know your results in the comment section!